Probiotic skincare has been one of the biggest trends in the skincare world lately, and with its strong emphasis on skin health, it's been one that I've been welcoming with open arms. When I think of probiotics, I immediately think of their role in helping to maintain a healthy gut e.g via consuming yoghurt that contains probiotics. I'm sure most of us have heard about the importance of having lots of 'good bacteria' in our stomach which keeps everything happy and balanced, and in a rather simplified way, this is what probiotic skincare effectively does. It helps to support the microbes, keeping a good balance going which is essential for healthy and glowing skin. There are trillions of microbes living on and in your skin (each human cell has at least 10 microbes, so it's easy to see how they all add up! ), so it's important to maintain a healthy balance as the right amount of good microbes can help to slow down the visible signs of ageing. This is the area that probiotic skincare really excels in - anti-ageing, as these specific skincare formulas help to "create an environment on the skin that favours the growth of beneficial microbes so that they can out-compete pro-ageing species", leaving your skin looking more radiant and younger for longer. There are a handful of high-end skincare brands who are leading the way with scientific breakthroughs about how microbes work, and South Africa's organic brand ESSE is a key player in the skincare industry thanks to their investments and research into how probiotics can help to slow down the ageing process. 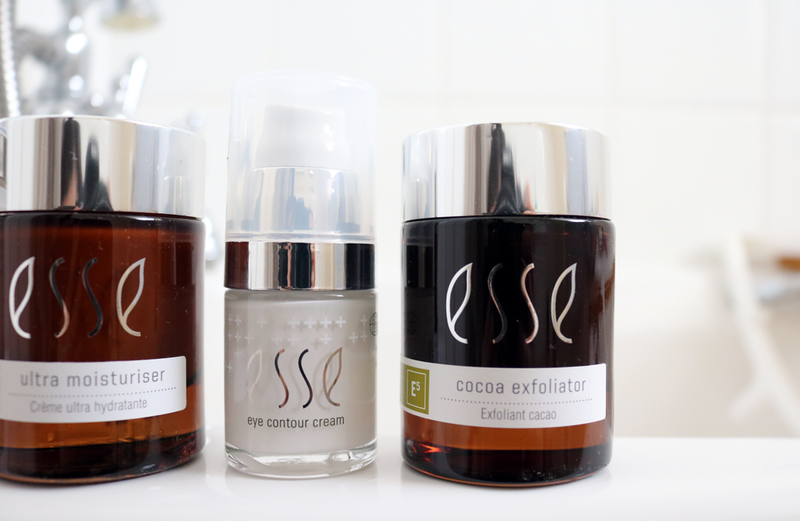 I've tested out a couple of ESSE's bestsellers below to demonstrate how you can incorporate probiotic skincare into your own daily skincare routine. For those who take their skincare seriously and have the cash to splash, a serum is always a worthy investment and the one product that I personally tend to spend the most money on. Why? The overall composition of a good serum lends itself to being better absorbed by the skin than other skincare products, so a high-quality serum in your skincare routine can really make a big difference, giving you the most noticeable results in both the short and long term. 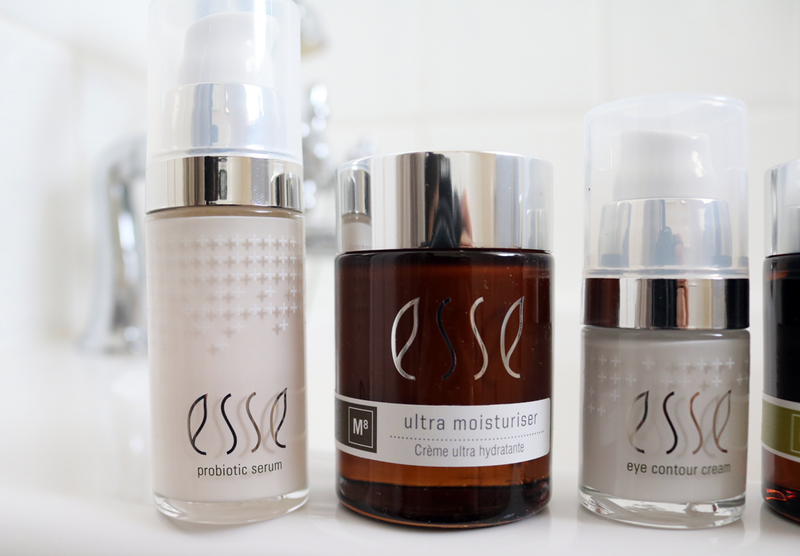 ESSE's Probiotic Serum+ is the most expensive serum that I've had the pleasure of trying out and it's been named the 'world’s first live probiotic serum' thanks to its highly innovative BIOME+ technology which contains 1 billion live probiotics per millilitre that are activated by the moisture on your skin. It feels rich and oil based, and is incredibly nourishing and hydrating due to the Jojoba Seed Oil, Shea Butter and Marula Oil in the formula. ESSE state that this serum is suitable for all skin types, however, I think oilier skin types may find this too rich as it really does pack a punch when it comes to plumping up and hydrating the skin. I've trialled this serum for just over three weeks now, using it in the evenings, and my skin has definitely started to feel much smoother and firmer. It's such a pleasure to use and I'll be sure update my thoughts when I finish the bottle in a future empties post. ESSE's Ultra Moisturiser is described as a super-rich treatment 'to feed and satisfy the most thirsty of skins', so if you have very dry skin, this may be one to add to your shopping list so that you can fully protect your skin during the colder months ahead. It contains active ingredients such as Rooibos Extract (a potent antioxidant to fight premature ageing), Grape Seed Extract (to help improve the production of healthy collagen and elastin), high levels of LMW Hyaluronic Acid (to drastically improve hydration naturally) and Kigelia (to lighten age spots and even skin tone), in addition to probiotics for the ultimate anti-ageing powerhouse. Sadly, this moisturiser was far too rich for my combination skin type, but I've passed it onto my mum who has very dry, post-menopausal skin and it's been working wonders for her. It's been amazing to see such a visible improvement in the texture of her skin, so she's very happy with it! Finding a good quality eye cream that makes a difference is the holy grail for skincare lovers, and this one is definitely in my top 3 favourite eye creams that I've ever used. Designed as 'an all-round' eye cream, this multi-tasking superstar aims to address all of the most common concerns such as crow's feet, puffiness and dark circles. In conjunction with the probiotic Lactobacillus Ferment, it uses some incredibly interesting and innovative ingredients such as Bellis Extract (helps to significantly lighten dark rings by inhibiting tyrosinase production and reducing melanin) Albizia Extract and Darutoside (to protect and strengthen the dermis, helping to reduce puffiness and the appearance of fine lines and wrinkles). A little goes a very long way, and like the rest of these products, I've been using it for just over three weeks. Since then, I've noticed that my eye area feels super smooth and a little firmer, plus my eyes are much less puffy in the mornings, but I've yet to see an improvement in my dark circles yet. Only time will tell I guess! If you love chocolate/cocoa, you'll love this gentle but effective manual exfoliator - it honestly smells good enough to eat! Suitable for all skin types, including sensitive, this exfoliator is rich in Cocoa Powder that's blended with a range of nourishing natural oils such as Coconut Oil, Sesame Seed Oil, Marula Oil and Manketti Seed Oil, to give the skin a deep cleanse and polish. Cocoa is rich in antioxidants, helping to boost skin circulation and this is fantastic to use first thing in the morning to wake up the skin! My skin feels as soft as a newborn baby after using this and looks much more radiant too. 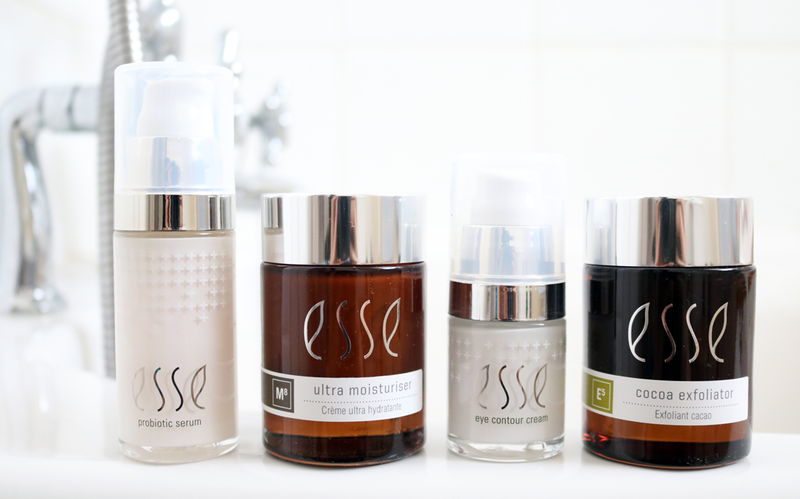 ESSE's organic and probiotic skincare is not cheap, but given the level of investment and research that's gone into the formulas, plus their use of certified organic and fair-trade ingredients, I feel that their products are at a price point that is comparable to some popular mainstream brands who invest far less. Definitely a brand to check out if you're looking to try some new high-tech, anti-ageing skincare that's also natural and organic. Have you tried any probiotic skincare before?